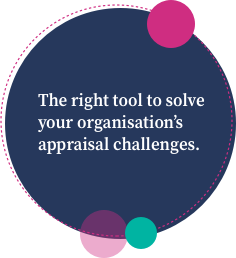 Thinking of switching Appraisal Toolkits? At only £42 per year and with our team standing by to help you make the switch, you can join 1,000s of other GPs and move to FourteenFish. Our iPhone, iPad, Android and web app that integrates with the Appraisal Toolkit. 360° multi-source feedback (MSF), patient surveys, organisation feedback and FFT. Online learning from FourteenFish. Consise videos on a variety of topics, perfect for CPD. The only system that will produce all the NMC forms for you, filled in from our toolkit. Like a mix between an intranet and a social network. Easily share and capture learning. Developed with an experienced RCGP examiner, taking you through all aspects of the exam. A total of 24 hours of video modules, including 13 consultations with professional actors. Providing the certificate of medical education for minor surgery accreditation. For designated bodies, trusts, appraisal services and responsible officers. Full GMC Connect integration, instant AOA reports and time-saving automation. Our carefully designed dashboards and reports give you the information you need, right where you need it. Great to have, at last, a GP-friendly appraisal tool and the Learning Diary is genius. I have just signed off my pre appraisal documentation, and this has been even smoother than previous years. I like the improvements to the PDP. I am also an appraiser and refer this platform above others, thank you. 100% this is so much easier to use than the excessively regimented RCGP appraisal setup and various others that I have tried, who are not intuitive and are leaden to use, with part-time technicians on the phones . It is great not to be timed out and lose your info if something happens during your entries. Thank you for creating a common sense appraisal toolkit which reduces the workload and sticks to the key elements needed in a straight forward way. Very straight forward site to use. Wonderful presentation of the surveys means very easy to reflect on. I would recommend to everyone. This is my 3rd appraisal using the Fourteenfish Toolkit which has been amazingly improved each year and now so simple to use. Great value for money: I could not be more happy! The Patients Survey and MSF are easy to set up and results promptly received. Most helpful. Brilliant system! Highlighted warnings etc were very helpful to prevent missing data and the whole system was far less 'clunky'. Far superior to MAGMAF used previously – thank you. Thank you so much Dr Mark Coombe and team, I am overjoyed to let you know that I passed my AKT exam. I couldn't have done it without you. Thank you so much. Average rating 4.7 stars (out of 470 ratings). Read more reviews including the negative ones. We’ve partnered with Univadis to integrate the FourteenFish Learning Diary with Univadis.co.uk. Capture your CPD quickly from any Univadis education module. It’s free to try many of our products, like our Appraisal Toolkit and Feedback surveys. Some things like our Learning Diary are free forever. We’re nice like that. 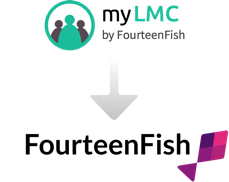 myLMC is now FourteenFish. Don’t worry – your login details are still exactly the same and everything from myLMC is still in your account, it’s just the name of the website that’s changed. You can read more about the change, or just close this message and get on with using the website.